With thousands of shows on offer during the festival, it’s easy to find yourself spoilt for choice! You might be tempted to book up your days with back to back entertainment, especially given the diversity and quality of performances available. However the real key to getting the most out of the Fringe Festival is to limit yourself to between 3 and 5 shows a day, and avoid developing Fringe Fatigue. This will ensure you are able to enjoy (and remember) the quality performances, while still getting your money’s worth. Start the day early, as the majority of theatrical shows are in the morning, keeping plenty of free time in between to soak up the atmosphere, enjoy the street performances and of course to stop for a leisurely lunch. Then why not finish the day with one of the many late evening comedy shows, creating the perfect balance between quality and quantity. As well as leaving plenty of time in between shows to enjoy yourself and soak up the atmosphere and street performances, you will need to consider the time it will take you to travel between the venues. With events on all over the city for the duration of the festival, it can take up to 40 minutes to get from A to B. The population of Edinburgh doubles during the festival, which can put a strain on public transport and taxi services as well as causing congestion, so walk where possible and aim to get to the venue at least 15 minutes before the advertised start time. 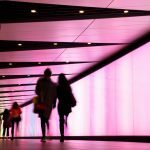 You will come across crowds, traffic jams and queues wherever you go, but providing you have left yourself plenty of time this doesn’t need to cause you stress, so plan ahead and take it in your stride. Dress for the weather – All weather. The weather in Edinburgh can be unpredictable and changeable, so take layers and waterproofs to prepare for any sudden change. Comfortable shoes are a must, as you will no doubt be covering a lot of ground on foot between venues, sometimes up hill and over cobbles! Remember there’s no such thing as bad weather, just the wrong clothes, so be prepared and the weather won’t ruin your fringe experience. 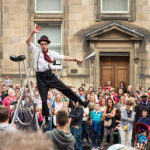 There will be plenty more going on in Edinburgh in August than the Fringe, so make sure you take advantage of some of the other opportunities available for a fully diverse experience! The International Festival runs alongside the Fringe, from the 4th to the 28th of August and features world class music, opera and dance. 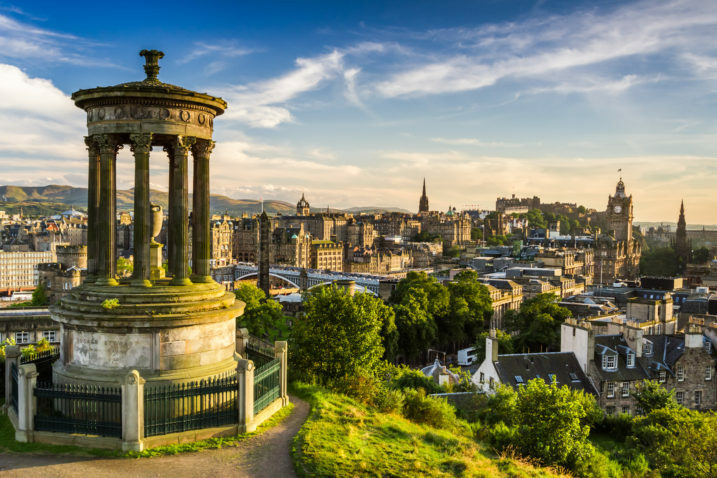 Over 220,000 people will head to Edinburgh Castle to watch the world famous Royal Edinburgh Military Tattoo, and for those who love literature the Edinburgh International Book Festival runs throughout the third week of August. With so much happening around the city, you will want to base yourself somewhere central to make the most of all there is to offer! Beaverbank Place offers stylish, affordable, self-catering apartments just north of Edinburgh city centre in the popular Canonmills area. Most of the Fringe venues are a short 10 minute taxi ride away, and there are a wide range of quirky bars and restaurants on your doorstep. Car parking and bike storage are available so getting around is easy. There is 100 Mbps WiFi throughout, to allow you to research all that the festival has to offer!